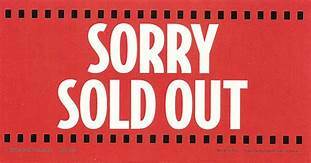 We are happy to say that the next casino BUS (road) trip hosted by the Arcadia Guild to the Meadows is SOLD OUT! http://arcadiawindber.com/wp-content/uploads/2018/09/Sorry-Sold-Out-II.jpg 163 311 Windber Arcadia Windber Arcadia2018-09-25 14:46:272018-09-25 14:48:06Sorry, you missed it! Time is Slipping Away…………… Here is what we have remaining…….